Spanish developer Teku Studios has been hard at work creating Candle, an upcoming adventure game heavily inspired by the likes of Out of This World and Oddworld. Almost a month ago the studio launched a Kickstarter campaign with a goal of $40,000. With just under three days left, Teku has announced that not only has the goal been met, but Candle will be launching on the WiiU as well as PC. And best of all, the current plan doesn’t involve a simple direct port. We will design specific gameplay features for its gamepad: all the menus, inventory and minigames will be tactile-controled on the touchscreen, as well as other unique actions concerning Teku’s candle. Teku Studios currently consists of only seven people, and is based in Teruel, Spain. Candle is the team’s first release, and it tells the story of the tiny protagonist Teku and his trusty candle. However, the most striking aspect of Candle is the art style. 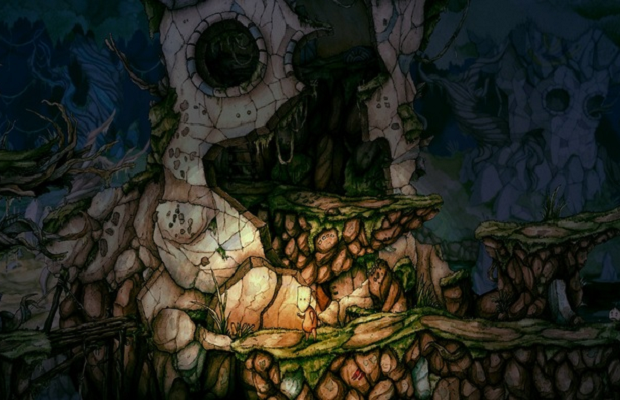 Crafted entirely with watercolor and ink, the environments are hand painted and have a decidedly unique look. According to the Kickstarter, the studio’s goal is to have “mature contents told as a child story, shrouded in innocence and ingenuity.” Be sure to check out Candle’s Steam Greenlight page, and expect it sometime in early 2014.